Before we start this tutorial, I would like to begin with explaining what is an IP address what it is used for. The IP address is a unique set of numbers, separated with dots with which your computer identifies in a network via Internet Protocol. IP addresses can by set dynamically by the network or statically. 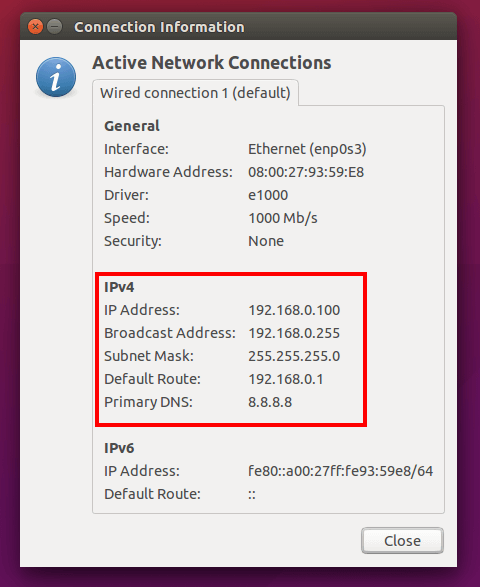 The difference between those are the dynamic IP address might be changed when connecting to a network, while the static IP address remains the same after each connection to a network. 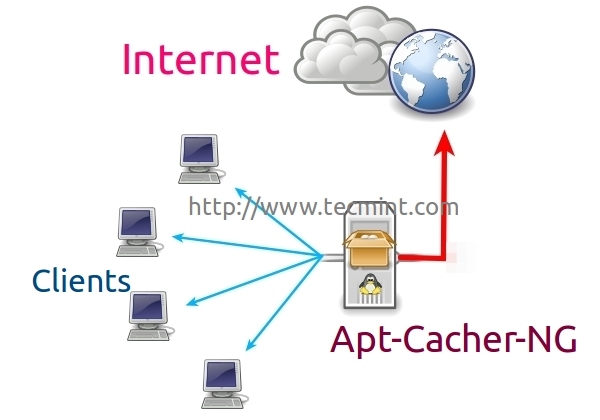 Dynamic IP addresses are often used by ISPs to provide connection to their clients. Static IP addresses are often used on servers, so that a given server can be accessed over that IP address or domain pointed to the same IP address. 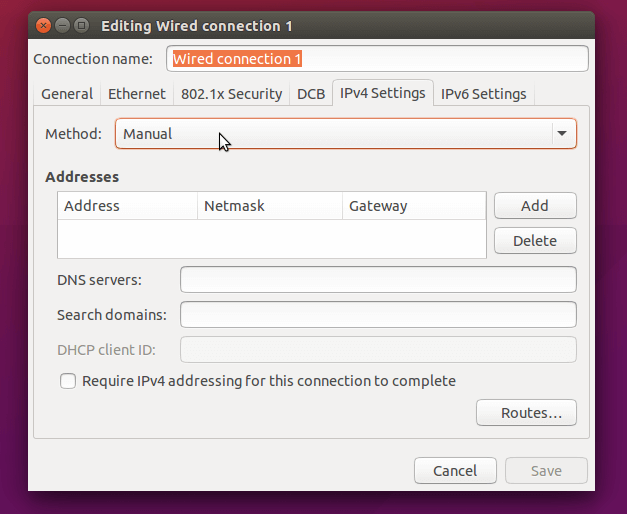 In this tutorial, we are going to show you how to configure or set a static IP address for both Ubuntu 15.10 Desktop and Server edition. Make sure to use your own settings depending on the network to which you are connected to. 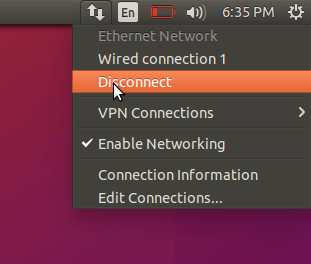 When configuring the network settings on our Ubuntu server, we don’t have the fancy GUI to help us. You will need to get your hands dirty and use the command line. For the purpose of this tutorial, I am using “vim editor” as my text editor. You can choose different one as long as you are comfortable using it. 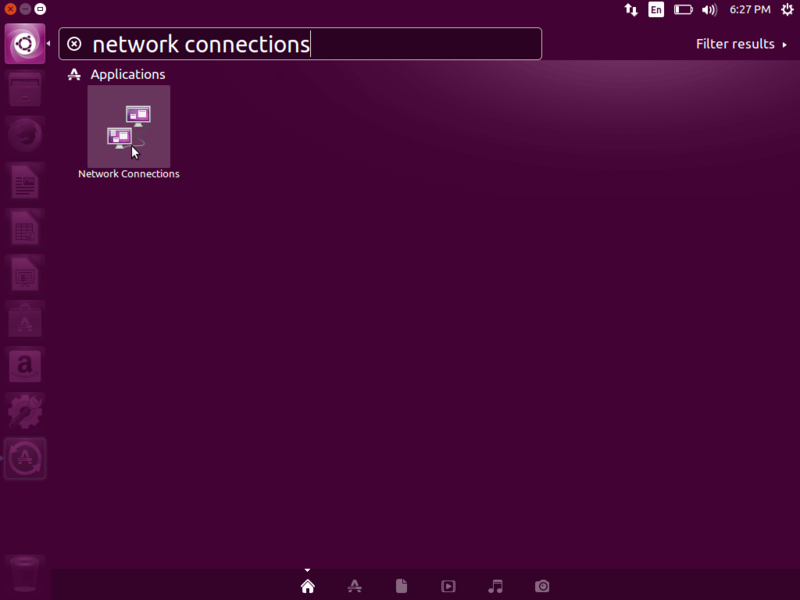 Now you need to add your network settings below those two lines. Remember to replace “enp0s3” with the name of your network adapter and the correct IP settings, Netmask, Gateway and DNS servers. 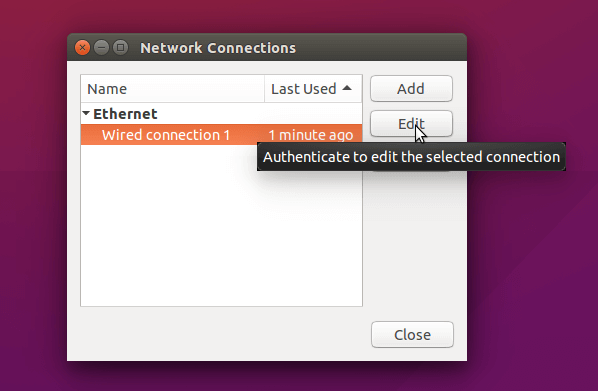 Congratulations, your static IP address has now been successfully configured in your Ubuntu 15.10 Desktop and Server. Be very careful when editing the network settings of your machines. Keep in mind that if you set the wrong configuration the machine may become inaccessible over the network. This is why it would be nice to ensure that if something goes wrong with your desktop/server network settings you have physical access to the machine you are configuring or there is someone else on the other end who will be able to assist you. This is especially important when you are editing the settings on remote server that is located on thousands miles away from your location. Wonderful post. Very simple and to the point. Thank you!!!! Keep it up!!! Hi, why when we use the desktop method, the interfaces file does not get updated ? Where does the desktop tool write the information ? Great article just wondering about this part: “Remember to replace “enp0s3” with the name of your network adapter??? what do u mean by this? do you mean we should not change this name enp0s3 or changed with our network adapter? 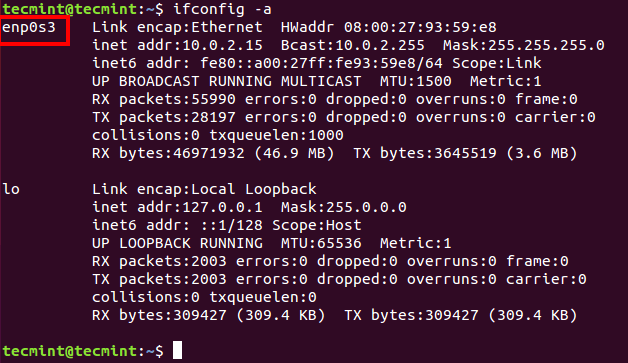 Means, you should change “enp0s3” with your network adapter name for example, eth0 or eth1.. Sorry for my english, I would put a secondary IP in the same interface, like old versions (eth0 192.168.1.100… eth0:1 10.10.0.100) I know how to do it in the old versions, but in version 15.10, they have changed the commands. Can you help me? Where do you obtain the Nameserver numbers? If your machine is connected to a router, you should see the settings in there. If you are plugging your ISP’s internet cable directly to your computer (i.e no router, modem etc), you should use your ISP’s settings. 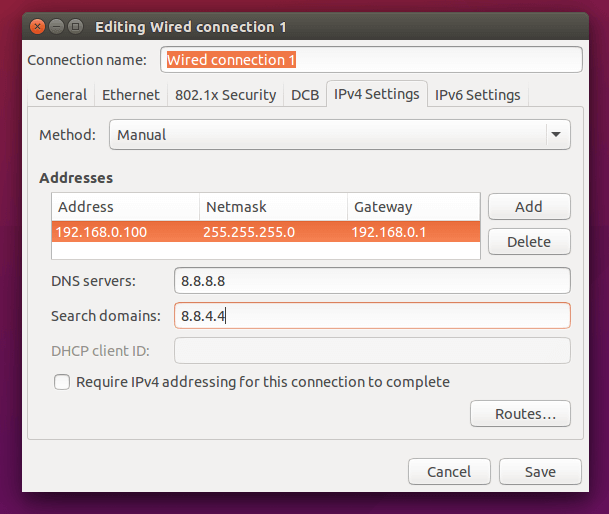 I want 1st IP by DHCP and 2nd static but, in Ubuntu 15.10 mi interface isn’t eth0 it is eno1 and if I put eno1:1 don’t works. Both scripts do the same. 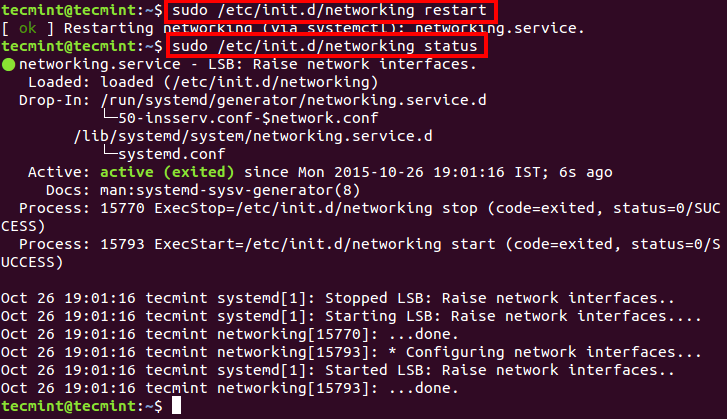 Why not use systemd to restart networking directly?